Once you have access to all of those characters, you'll need to try and figure out which one you like, right? Well that's where the new "Dojo" training mode comes in. Select a character and go up against some A.I. bots to get a better feeling for their abilities and Helix progression system. After you get comfortable with them, then go to town in the cooperative Story Mode, or the PvP mode, if you prefer. Both of those modes are getting some overhaul as well, like better guides in the Story Mode to fill you in on what to do next, and better Credit rewards for both. 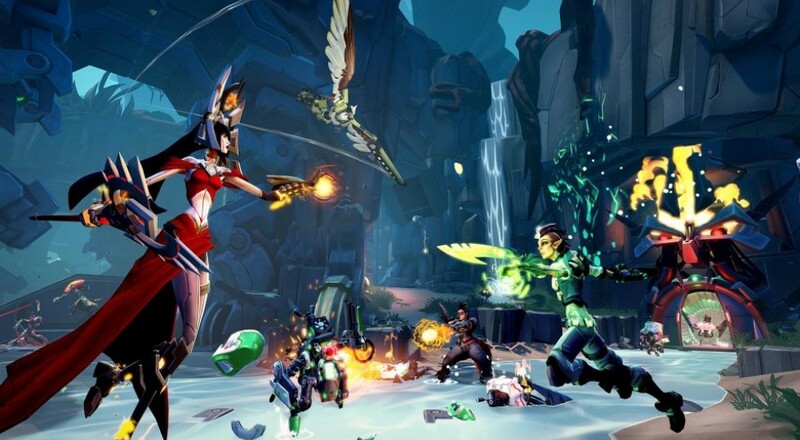 You can check out the rest of the changes coming with then next update on the Battleborn site. The devs will also be showing off some of these changes and discussing them in more depth today at 5:00 pm Eastern over on the Gearbox Twitch channel. Page created in 0.3383 seconds.